Houses, like people, can be all shapes and sizes. What you choose to buy might not be what someone else chooses, but the thing nearly all home buyers look for is a well-made house. 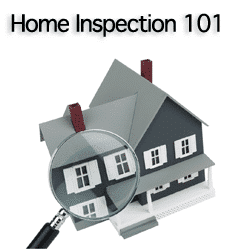 Home inspectors, builders, and previous owners can all help by informing you of the condition of a potential purchase, but knowing what to look for with your own eyes is important since you are the ultimate decision maker. When you’re touring a home, look for significant cracks in the walls or the ceiling or possible areas where such cracks may have been repaired. These can be signs of settling, structural, or foundation issues, and may be costly to repair if they’re deemed serious. Also be vigilant to the presence of bugs, especially termites, because they can cause significant structural damage. Be sure to look for signs of water damage that might imply a leak in the roof, windows, or plumbing. If there are cracks in the foundation of the home, water can come in that way as well, causing wood to rot, mold to grow, and general damage to flooring or drywall. Depending on the extent of the damage, these repairs can be cosmetic or costly. Mold can also have serious health implications, which means it is important to check for, especially if you have children. The quantity and quality of insulation used. Proper installation of rain gutters, shutters, and accent details. Any drafts coming from windows and doors. Just remember, your new home doesn’t have to be perfect, you may save money if there is work that needs to be done, just be sure that you know about existing issues before purchasing. Always do your due diligence! Applying for a Mortgage: How Much Can You Afford? BuildFax? What is it and Why is it Free Until July 31st? Can You Change Jobs Before Closing on Your Home?